Proving, as ever, that there’s no prophet as eerily accurate as an animated satirist trying to make up possible headlines for a far-flung future, it looks like Aaron McGruder’s The Boondocks successfully predicted the recent movement to see Oprah Winfrey toss her hat into the political ring almost 12 years before it happened. 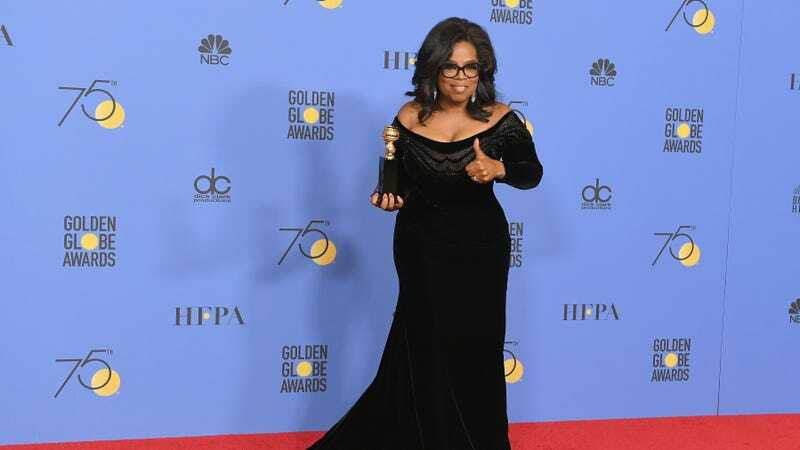 People have been semi-joking about Winfrey’s political future ever since Sunday night’s Golden Globes, when she gave a rousing speech to the assembled crowds. Unlike The Simpsons, though, which predicted the Trump presidency as a dark joke about America’s gradually sliding electoral standards, The Boondocks presents President Oprah as an aspirational idea (regardless of how you might personally feel about America’s sudden TV-star-to-White-House-resident trend).